Fratelli Rossetti’s Italian CEO Diego Rossetti is reluctant to use this label for his brand, opting instead to say it’s high quality. He explains that wording makes a subtle but significant difference: “I don’t like this word. 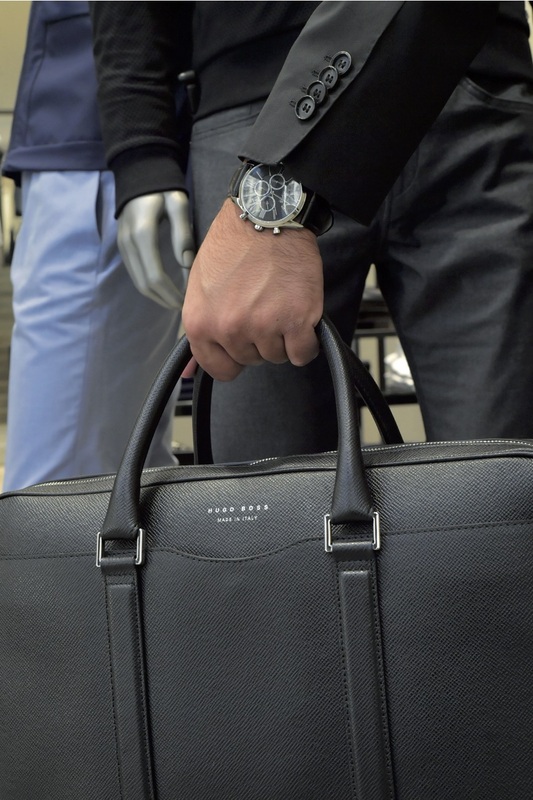 I like being surrounded by quality things and quality of life, but I don’t like things that are overdone,” adding that luxury evokes showing off and the pleasure of owning something that other people cannot, which are principles he doesn’t want associated with his brand. Izzat Traboulsi, CEO of T2, the sole distributor of Hugo Boss in Lebanon, has a different view. 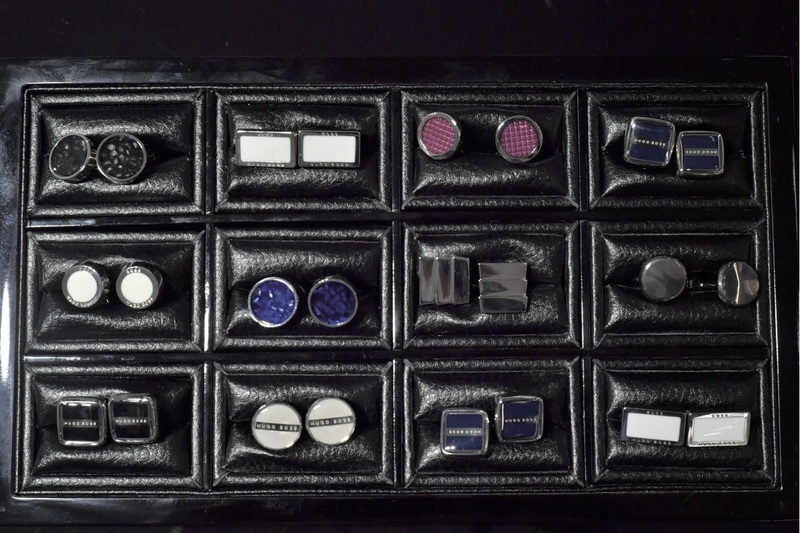 He defines luxury as the best product in its category and considers his brand to fit this interpretation. “Luxury makes life more pleasant and lets you appreciate the best quality in the market. Luxury doesn’t have to be about showing off, it’s about comfort,” he argues. Both CEOs definitely agree on quality and comfort. Rossetti says, “Our brand is a guarantee of quality and we work hard to make this quality affordable.” He adds that most of their customers are loyal for this very reason, buying products because they appreciate them, not so they can boast about it. Fratelli Rossetti has 40 boutiques worldwide and 32 points of sale in the Middle East in multi-brand stores, but their refurbished ABC boutique is the only stand-alone shop in the region. “Beirut is the most important market in the Middle East for us because it’s the most European city in the region and people have similar taste [to Europeans], as opposed to the Gulf where their taste is a little different. That’s why we do very well here,” he says. The Beirut store carries about 90 percent of the brand’s entire collection. Rossetti also credits their success to working with a distributor (HOLDAL) that sees eye to eye with their vision. While the brand has been present in Lebanon since before the Lebanese Civil War and was even selling during the war (first at a multibrand boutique and later from the shop-owner’s home), their partnership with HOLDAL did not begin until 2003. The first Fratelli Rossetti store was launched in downtown Beirut but has since moved to ABC Achrafieh because political turmoil made the downtown location difficult to operate. This year the store was redesigned with a newer, sleeker look that highlights more items and reflects the brand’s image. Clearly the investment paid off, as demonstrated by the better performance of the store’s sales. Rosetti’s business – which was started by his father – works with leather, making primarily shoes but also belts, jackets and small leather goods. The ultimate goal is comfort, says Rosetti, arguing that if a jacket or shirt is looser or tighter than it should be it’s not that bad, but “a shoe must fit perfectly otherwise it’s a nightmare to walk in it.” He says making quality shoes is a complex, lengthy and expensive process that involves many steps. “Every part [of the process]must be done right. The final quality is made up of all the different steps so you can’t start compromising on some of them,” he says, explaining that every single product they sell, along with all its parts, is made entirely by them, which lets them really control quality. In clothing, Traboulsi reiterates that comfort is key. Hugo Boss uses quality materials like breathable, light fabrics, instead of synthetic ones, and makes, for example, thin goose down jackets that aren’t cumbersome but still provide warmth. 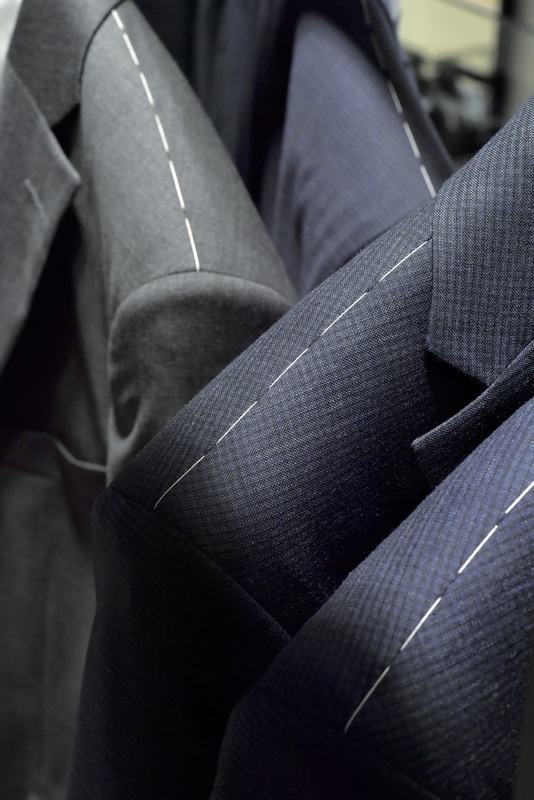 The brand also works with top craftsmen and tailors because not only does tailored clothing look and fit better, but handmade garments are also lighter than those that are machine-made, explains Traboulsi. But he says it’s not just about the clothes. “Luxury is not only the items you’re selling. You can produce luxury but you have to present and sell them in a luxury way. You have to respect the client coming to your store because he appreciates your brand and your quality, so the service, after service, the store itself, everything should cater to him,” he says of the experience. T2 recently changed their business model in order to have more control over the experience of buying Hugo Boss. Canceling all their franchise agreements in Lebanon, T2 now manages the Hugo Boss stores at ABC Dbayeh, ABC Achrafieh and the flagship boutique on Allenby Street in downtown Beirut, which Traboulsi considers the best retail location in the country. Now the only way to buy Hugo Boss in Lebanon is through T2-operated points of sale. “We want to be closer to the client and create loyalty,” he says, adding that a pleasant store and after-sales experience is a big part of that. 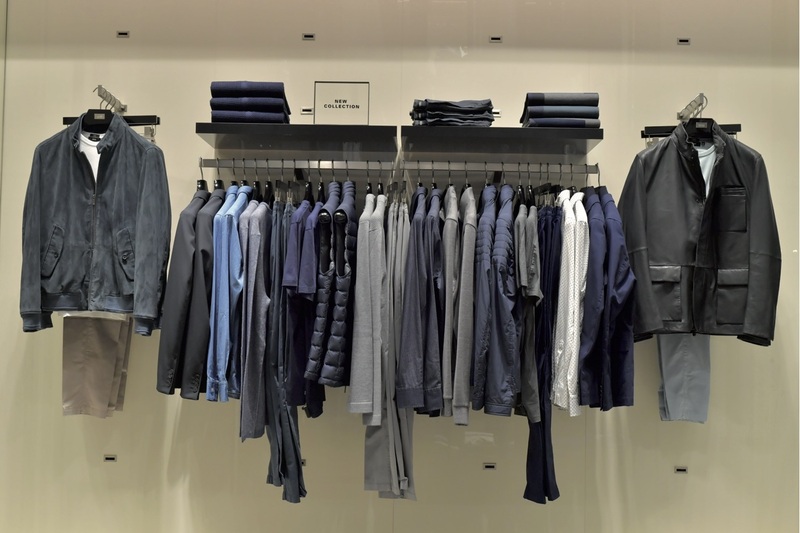 The Hugo Boss flagship store was redesigned according to the brand’s latest international standards, with special emphasis on visual merchandising, a separate area for suits and a dedicated tailor. Traboulsi also emphasizes staff competence, calling his highly-trained salespeople fashion consultants. They encourage customers to try new styles, point out trends and persuade them to try diverse styles they may not have ventured to purchase otherwise. The Hugo Boss collection in Lebanon is selected with this in mind; while many luxury brands may play it safe with classic looks, their fashions are often innovative and risque, which sets them apart, according to Traboulsi. Evidently these moves are paying off: Traboulsi says their sales have gone up by 50 percent in the past two years, which is no mean feat since the brand had already been performing well.